Dr. Peterson has always felt a deep connection with animals. Whether she was bonding with her childhood pets, helping a client’s treasured cat to recover from an illness, or playing with her own affectionate dogs, she always felt that animals greatly enriched her life. To give back to these loving creatures who have such generous spirits, Dr. Peterson has dedicated her career to helping improve animals’ health, comfort, and quality of life! Born and raised in Altoona, Iowa, Dr. Peterson received her Doctorate of Veterinary Medicine from Iowa State University’s College of Veterinary Medicine in 1981. Dr. Peterson joined Ingersoll Animal Hospital as an associate veterinarian in 1981 and in 2005 purchased the practice. 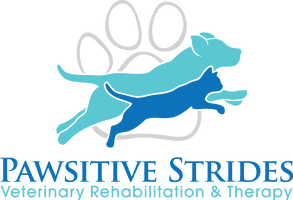 Dr. Peterson's vision continued to grow and in November 2016 she established Pawsitive Strides Veterinary Rehabilitation & Therapy.